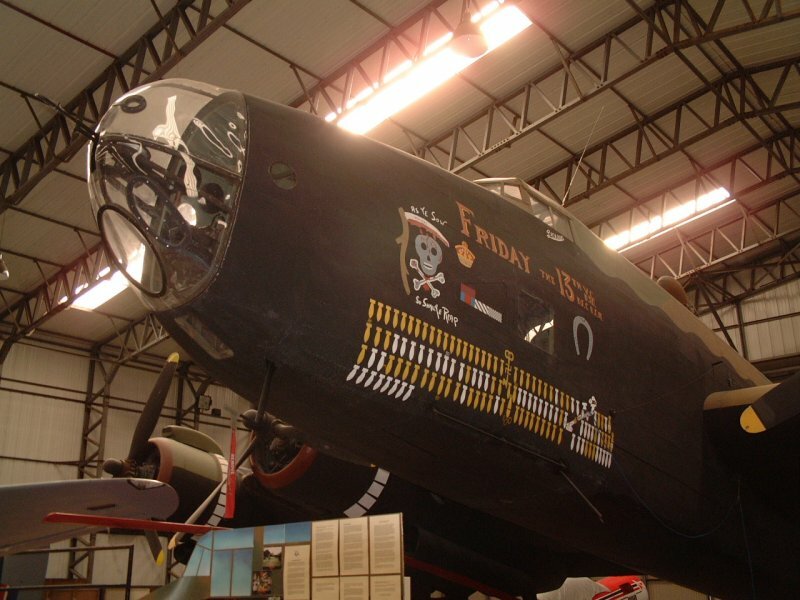 Halifax ‘Friday the 13th’ nose markings. 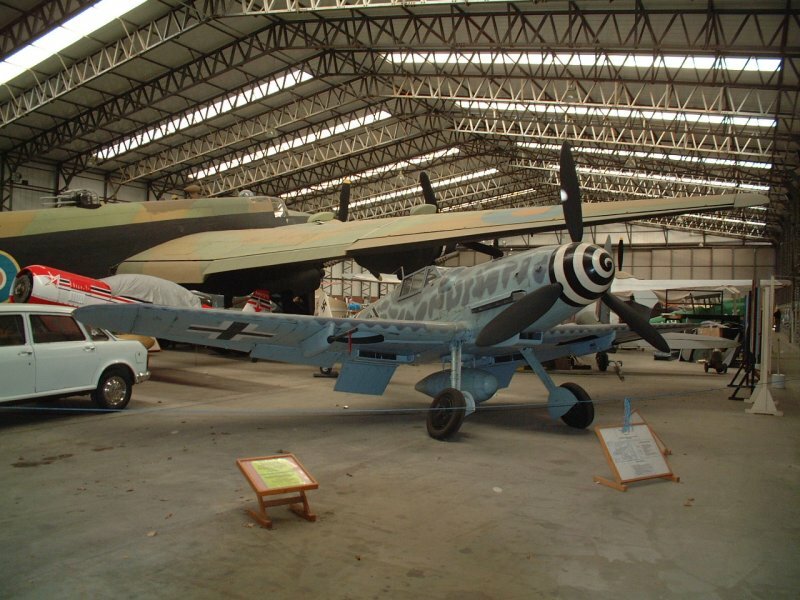 Bf 109G-6 Full Scale Model. The Wroughton ‘out station’ near Swindon houses the large object store for the Science Museum in London, and holds all the large exhibits that are not on display there. 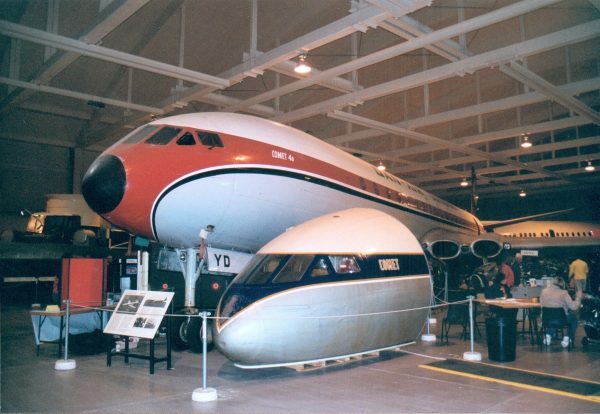 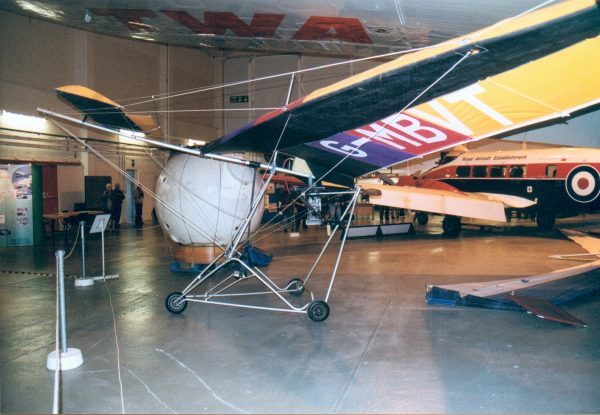 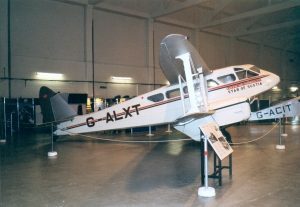 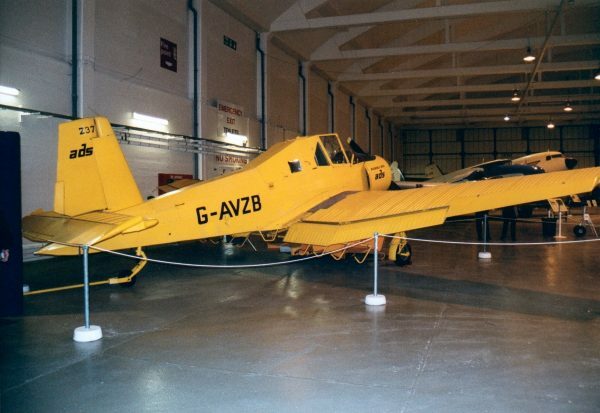 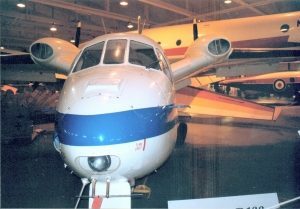 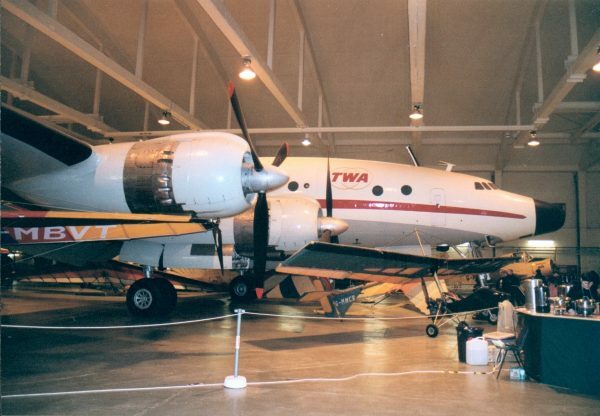 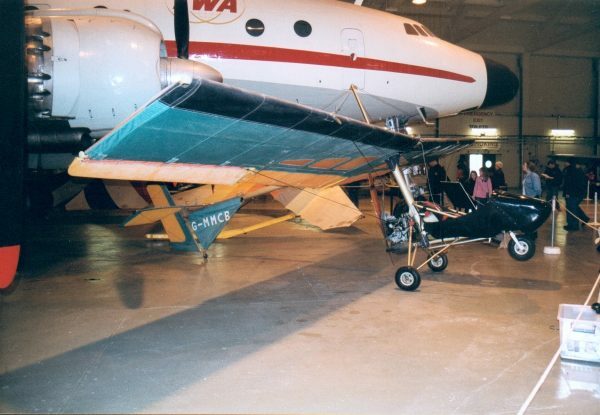 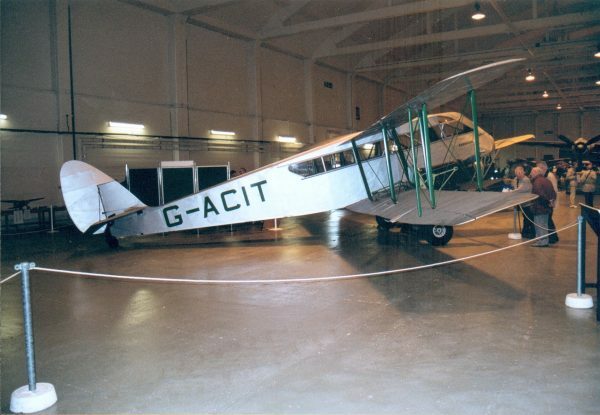 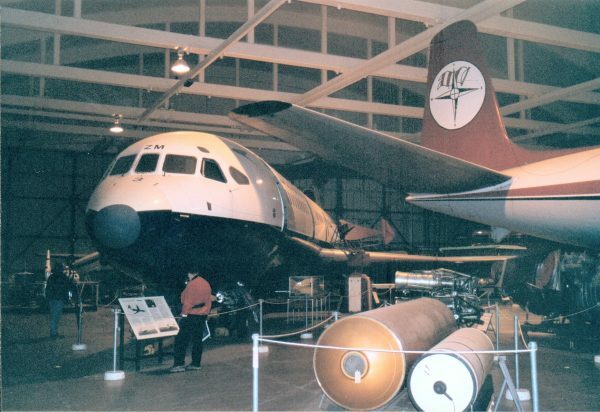 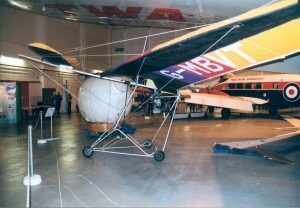 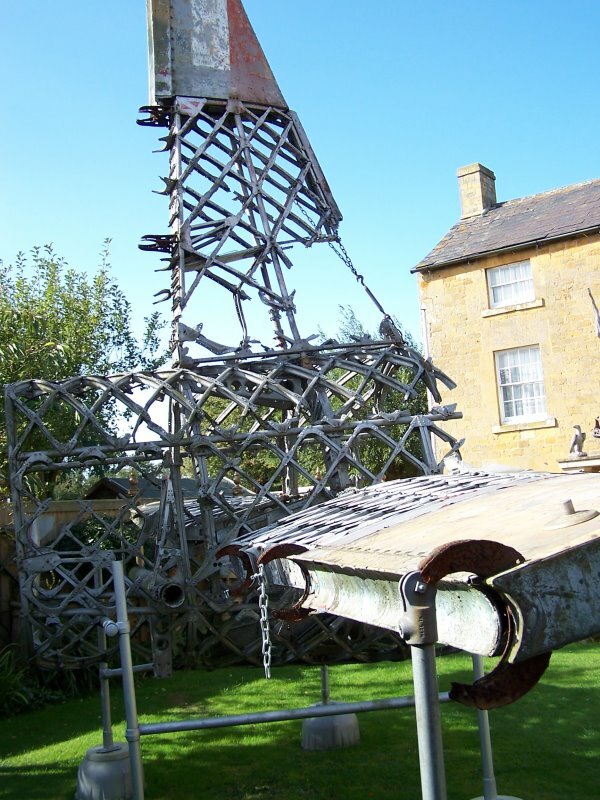 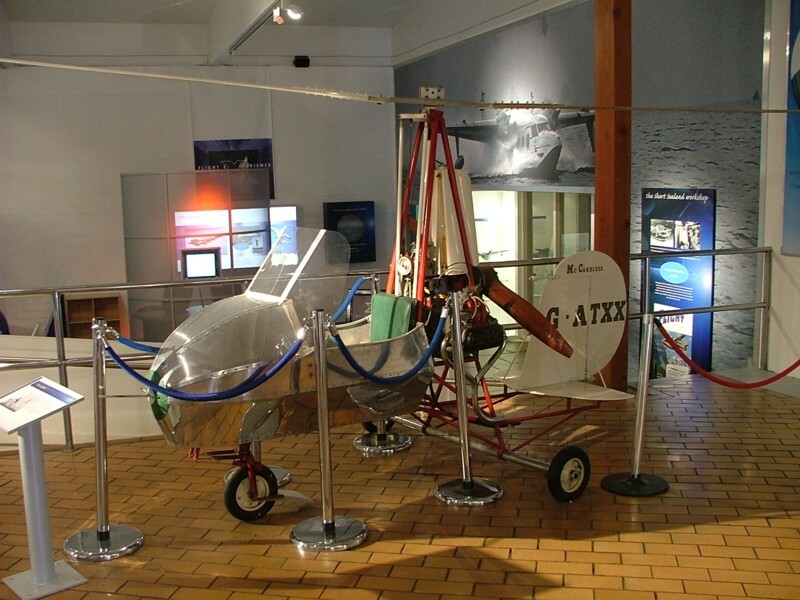 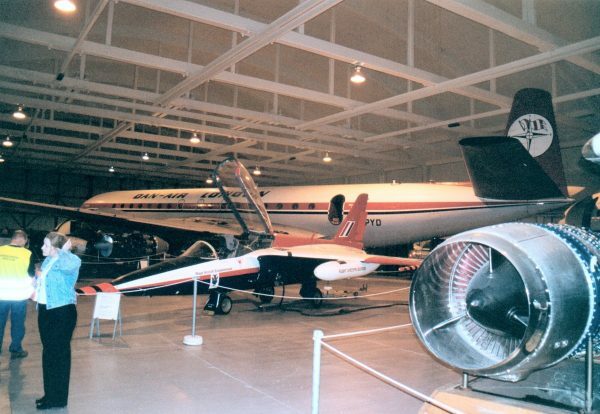 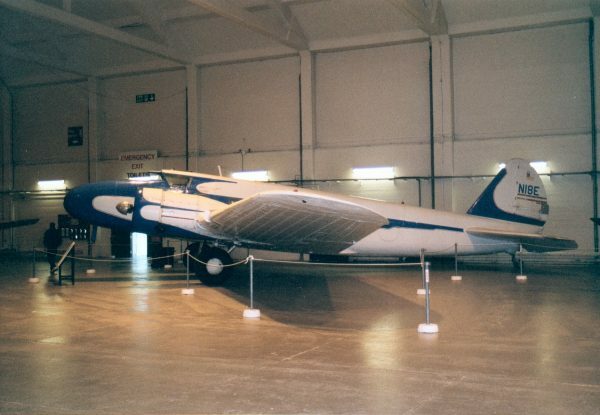 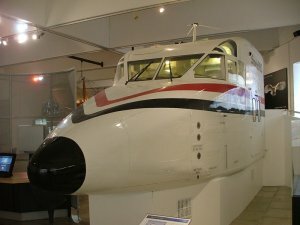 In particular, visitors can see a number of airliners from the Air Transport Collection, plus other large exhibits such as agricultural machinery, cars and lorries. 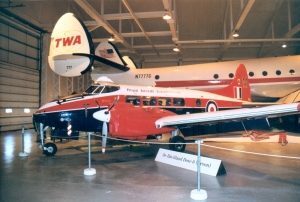 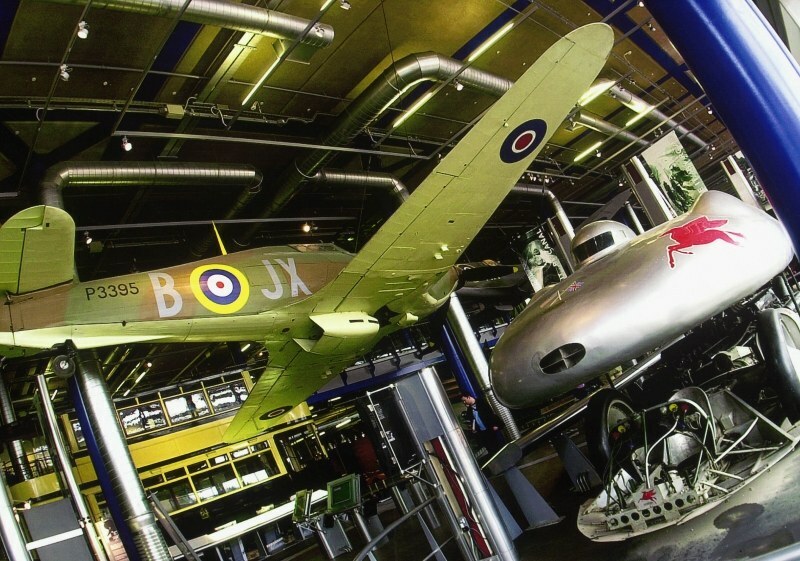 Among the aircraft on display are some very rare items, including the Boeing 247, Handley Page Gugnunc and the only Lockheed Constellation in the UK. 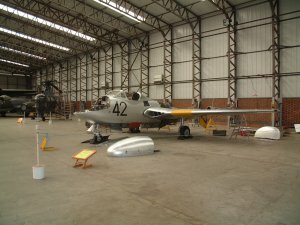 A number of public open days and special events are held during the summer season. 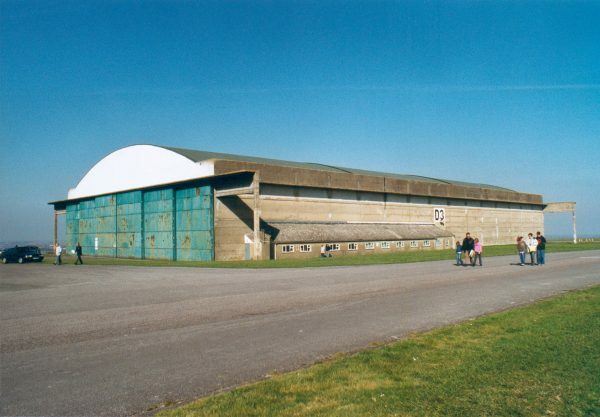 Wroughton Airfield, on the A4361 south of Swindon, Wiltshire. 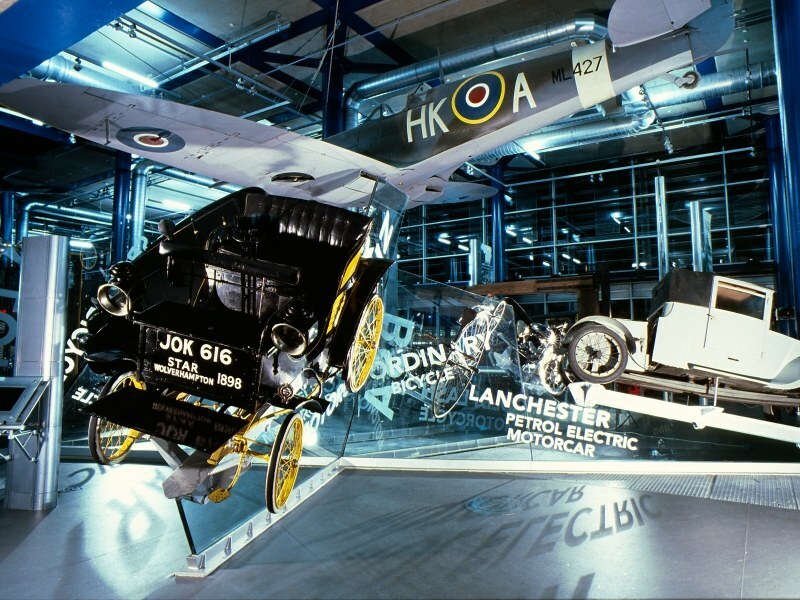 Follow the signs for Wroughton from the A4365 (M4 Junction 16) or the A345 (M4 Junction 15) and then the brown ‘Science Museum’ signs. For opening times and special events, please refer to the official website. 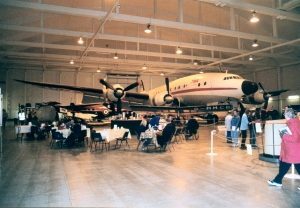 Usually free, but there can be a charge for special events. 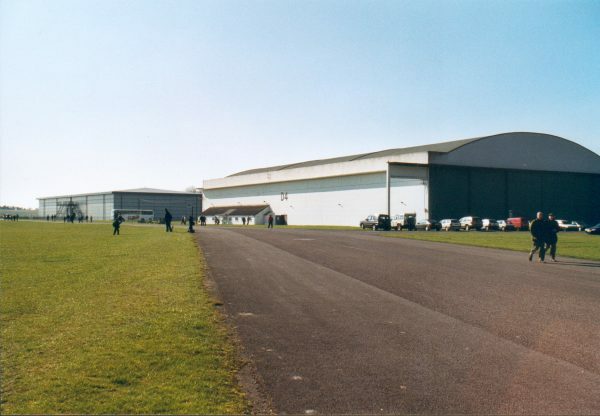 Toilets, parking, access for the disabled. 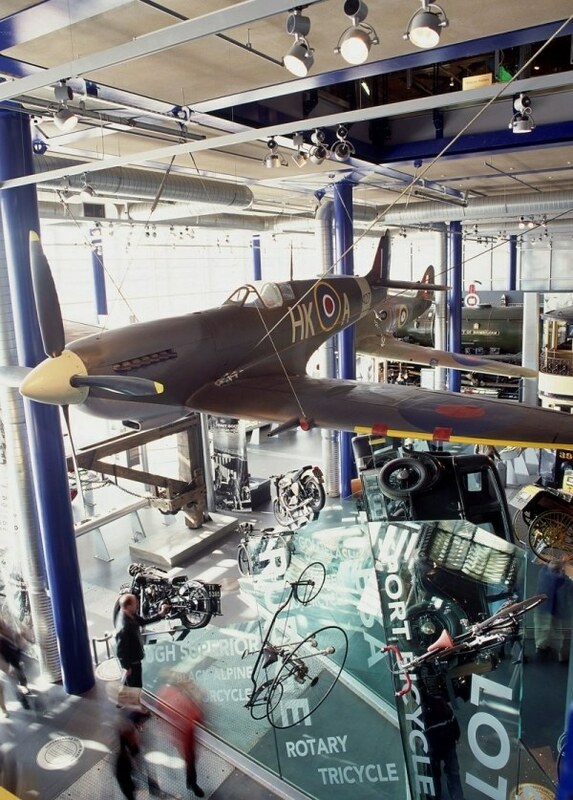 Science Museum Swindon, Hackpen Lane, Wroughton, Swindon, Wiltshire, SN4 9LT. Tel: 01793 846200, Official website. 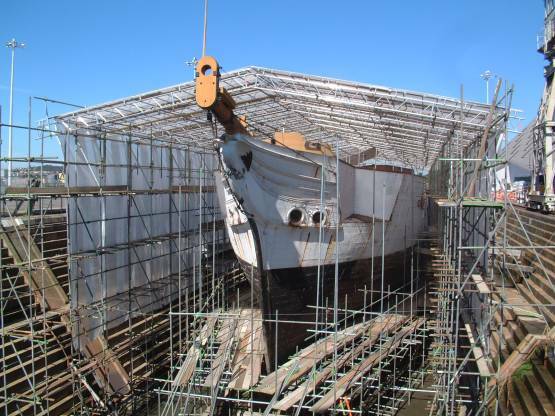 A very large site that is fully open to the public, telling the story of the dockyard and naval warfare. The Gannet is owned by 849 Squadron Association, and was previously located at Culdrose. 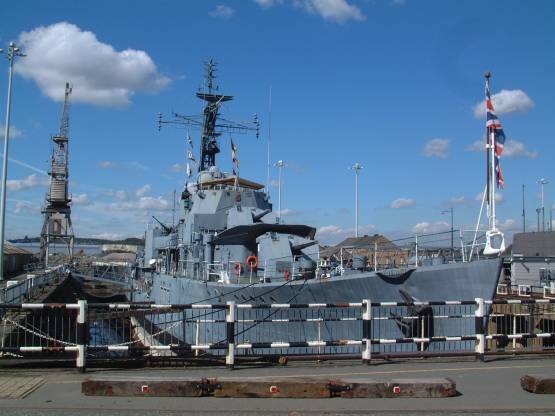 Large naval exhibits include HMS Cavalier, the only surviving British WW2 destroyer, and 1960s submarine HMS Ocelot. Between 1999 and 2004 this location was known as ‘World Naval Base’. 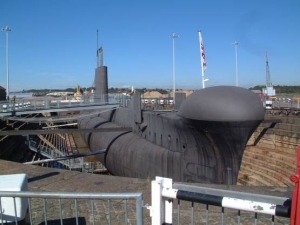 Chatham Historic Dockyard, east of Rochester, north of the A321, in Kent. 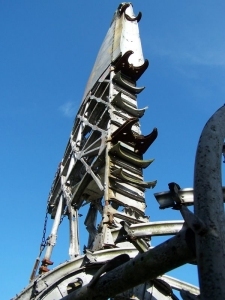 Well signposted. 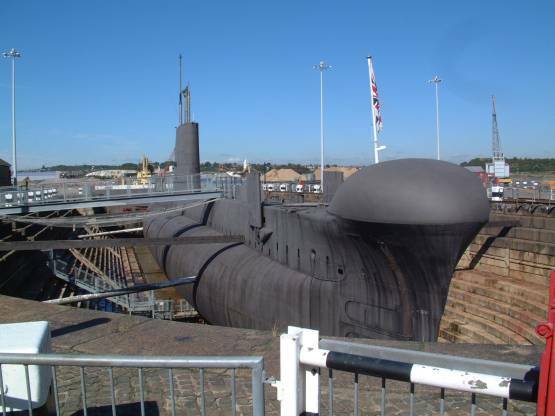 From Junction 1 of the A2/M2, follow the A289 to the Medway Tunnel and then turn right towards Chatham after exiting the tunnel. Open daily 10.00 am to 4.00 pm GMT, 16 February to 30 March 2013; 10.00 am to 6.00 pm BST 31 March to 26 October; 10.00 am to 4.00 pm GMT 27 October to 1 December. 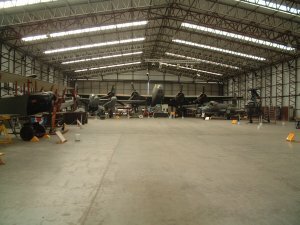 Closed December and January. 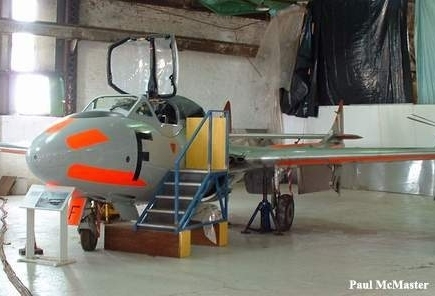 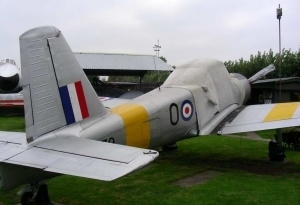 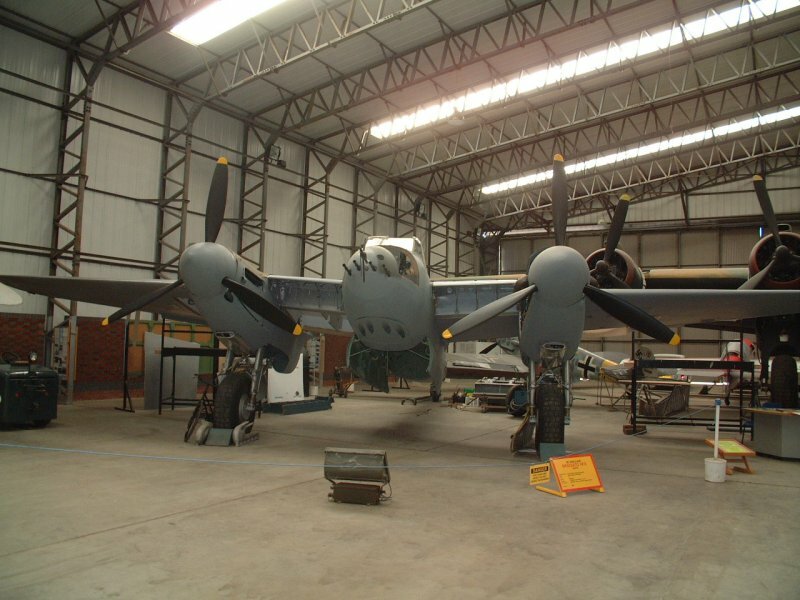 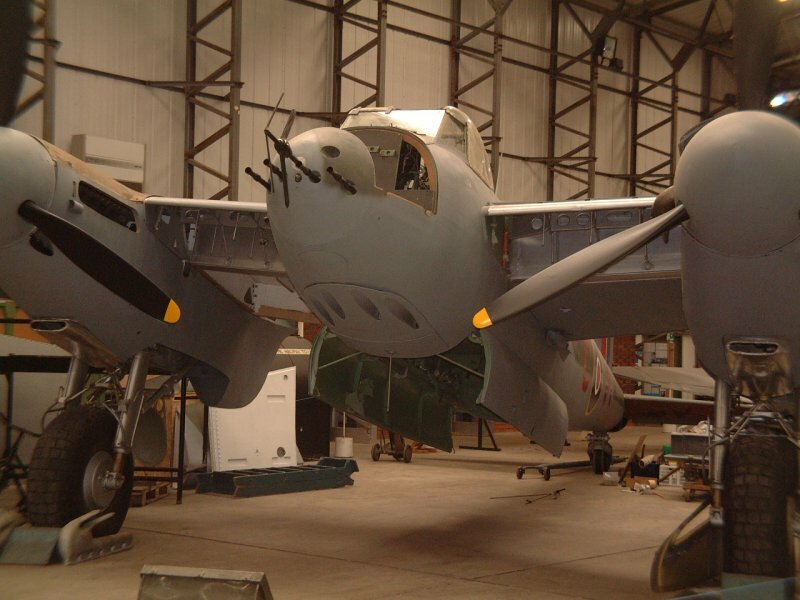 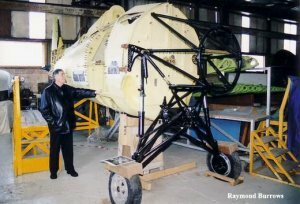 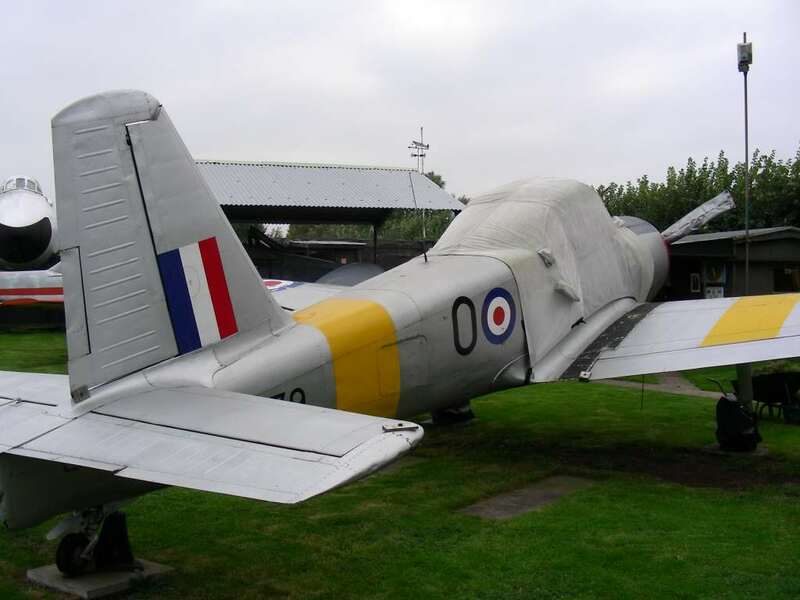 Gannet AEW.3 XL500 has been bought by Tim Manna of Kennet Aviation for restoration to airworthiness as G-KAEW. 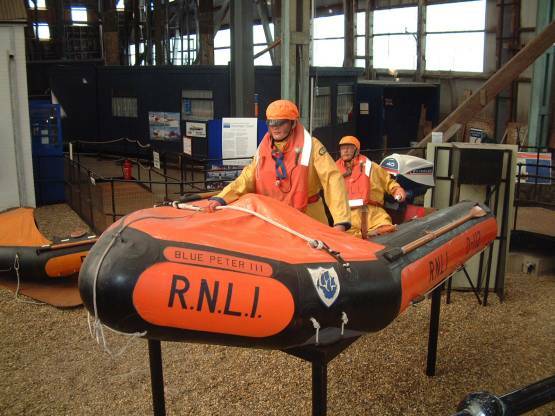 Chatham Historic Dockyard Trust, The Sail & Colour Loft, The Historic Dockyard, Chatham, Kent ME4 4TE. 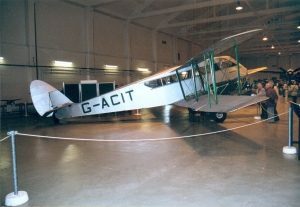 Tel: 01634 823800. An offshoot of the successful aviation art and print gallery, the museum tells the stories behind some of the paintings and prints on show with the aid of photographs and artefacts. The emphasis is on illustrating the personal side of wartime operations. The history of the local airfield and its Vickers Wellington OTU is also portrayed. 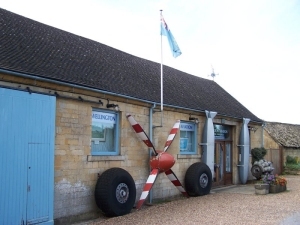 On the A44 Northeast of Cheltenham, to the west of Moreton-in-Marsh village, Gloucestershire. 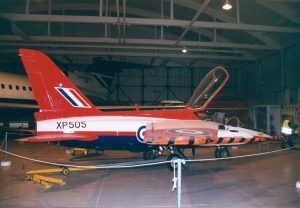 Well signposted. Open Tuesday to Sunday, 10.00 am to 12.30 pm and 2.00 pm to 5.00 pm. Closed Mondays and Christmas Day. 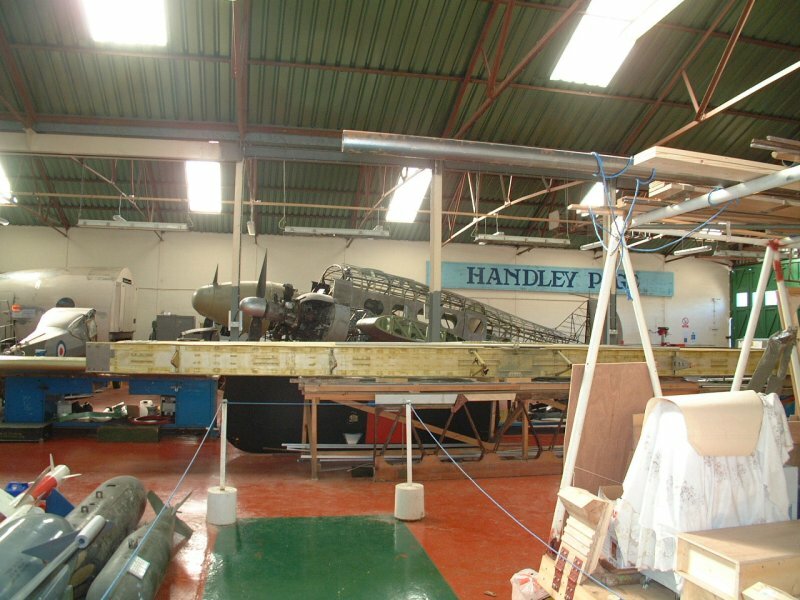 Toilets, Parking, Souvenir shop, Access for the disabled. 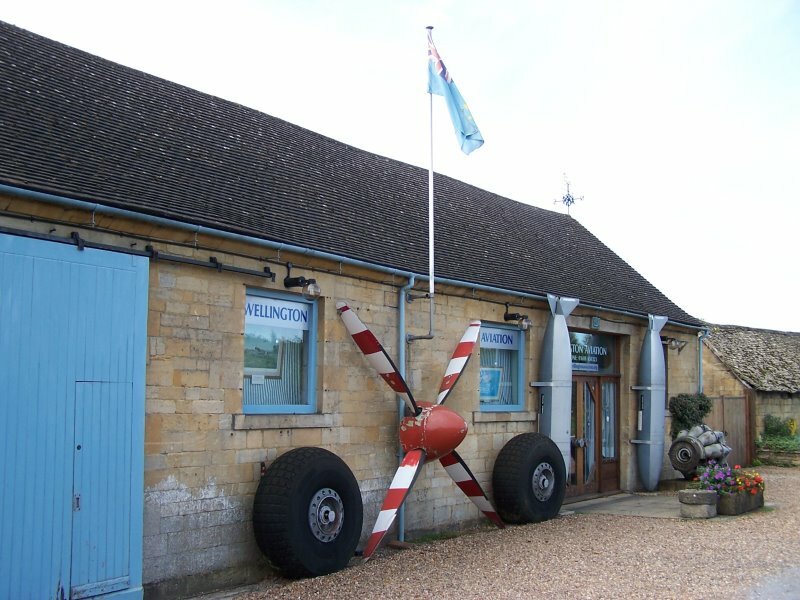 Wellington Aviation, British School House, Moreton-in-Marsh, Gloucestershire, GL56 0BG. Tel: 01608 650323. 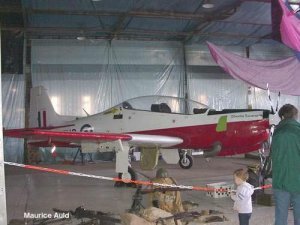 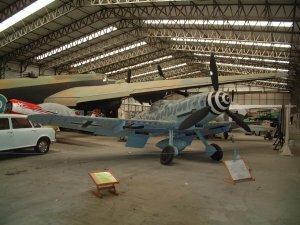 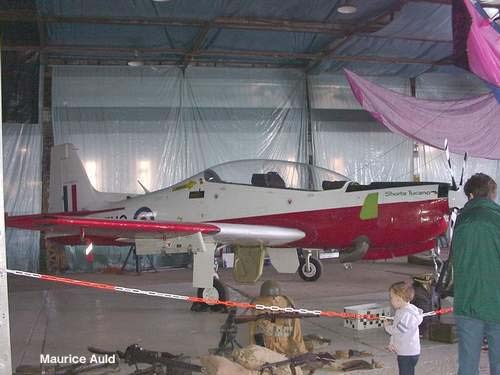 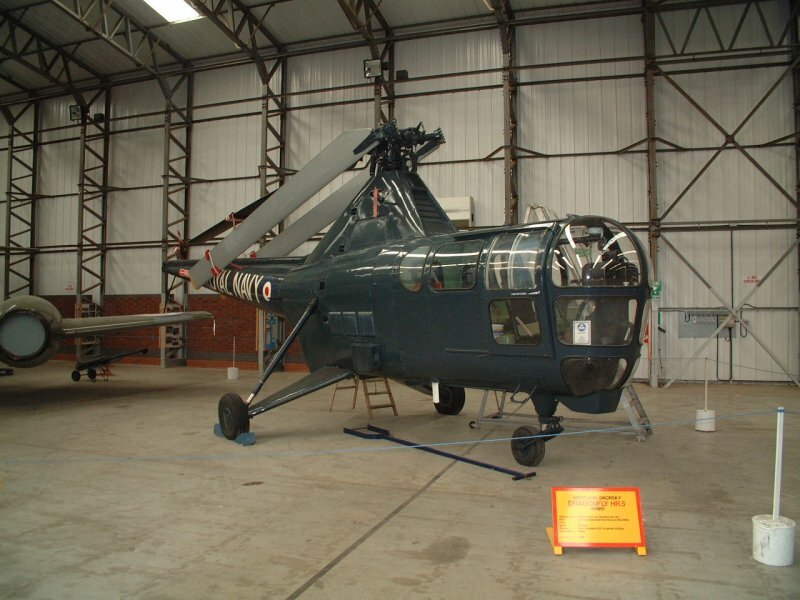 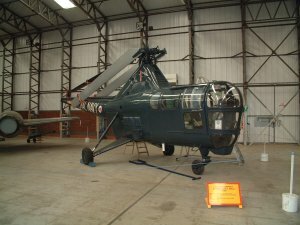 Website: Wellington Aviation Museum. 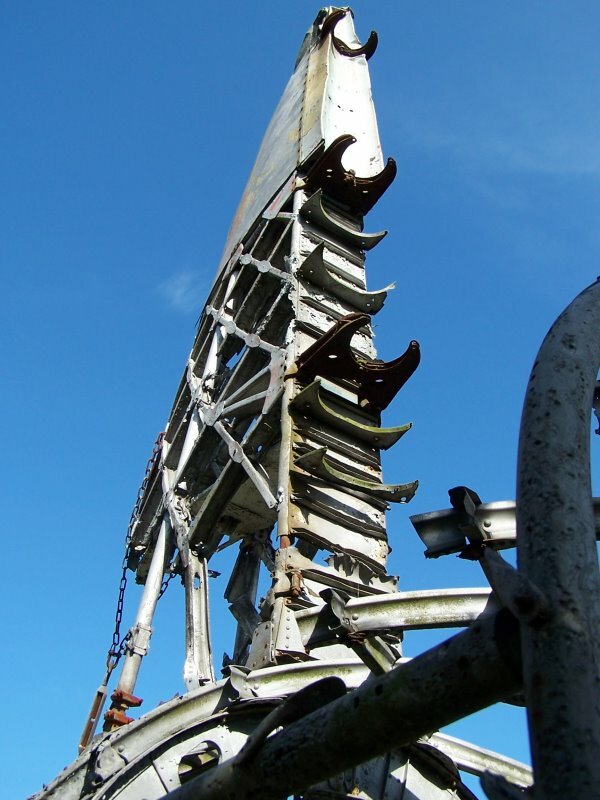 Close-up of the fin structure. 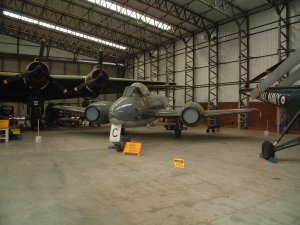 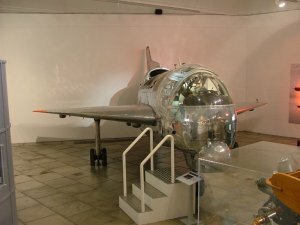 The museum is located in an underground emergency wartime command and control bunker, and houses a collection of aviation artefacts. 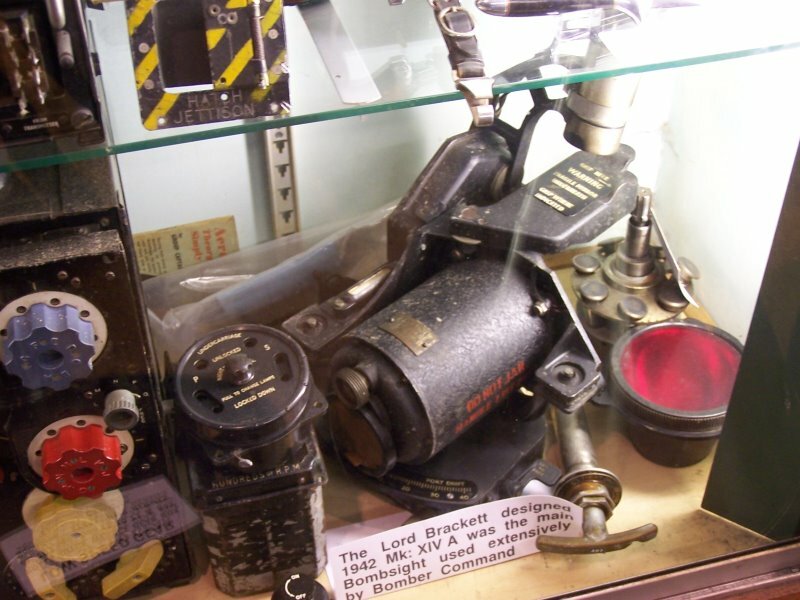 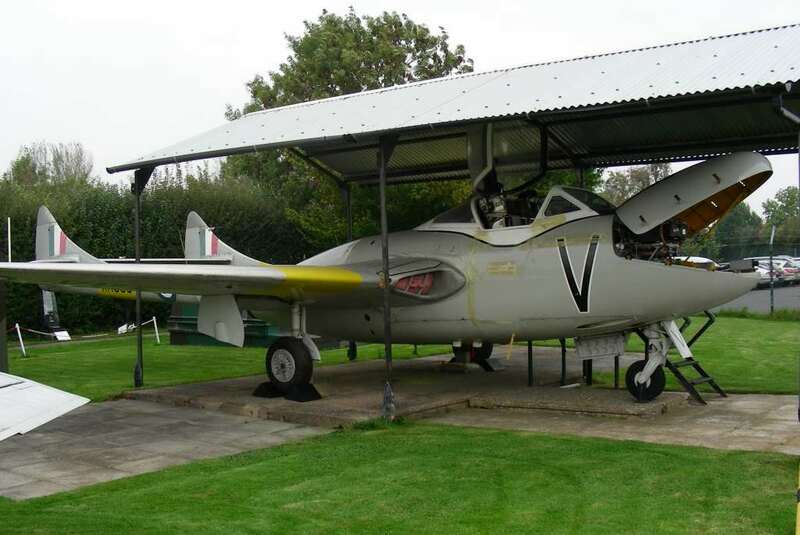 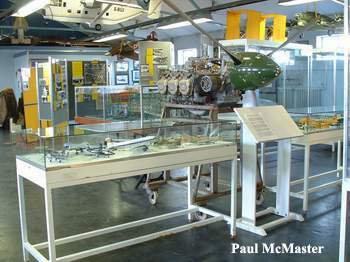 Displays cover the history of Wellesbourne Mountford airfield, together with various aircraft components and memorabilia. There is a small aircraft park, including the nose of Vulcan XA903. 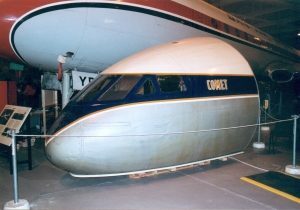 This aircraft was used to test the Olympus engines of Concorde in the 1960s, and a small dedicated group of enthusiasts is trying to restore some of the additional test equipment used in this aircraft. 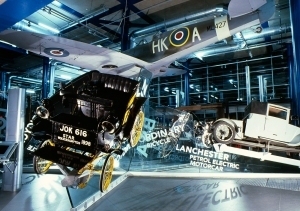 The museum was offically opened on 14 April 1991. 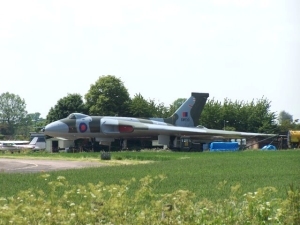 Elsewhere on the airfield, Vulcan XM655 undertakes taxi runs on occasions. 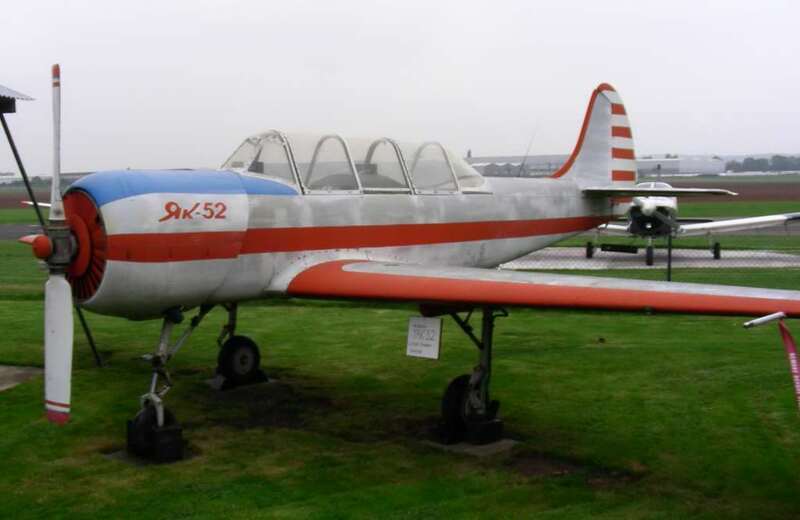 Located at Wellesbourne Mountford airfield, south of the B4086 near Wellesbourne, 5 miles east of Stratford-on-Avon, Warwickshire. Open Sundays & Bank Holidays 10.00 am to 4.00 pm. Toilets, Parking, Cafe, Access for the disabled. 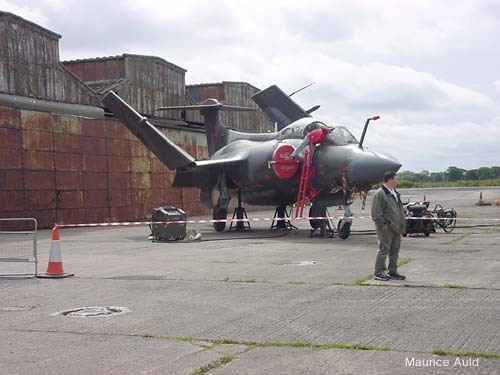 * Owned by the XM655 Maintenance and Preservation Society. Note: Avro Vulcan B.1 nose XA903 was sold and has now left the site. 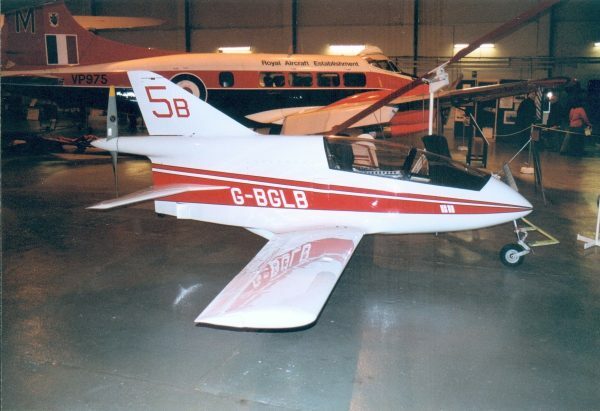 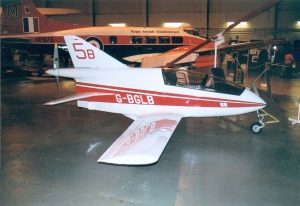 Derek Powell, Wellesbourne Aviation Group, 167 Colebourne Road, Kings Heath, Birmingham, B13 0HB. 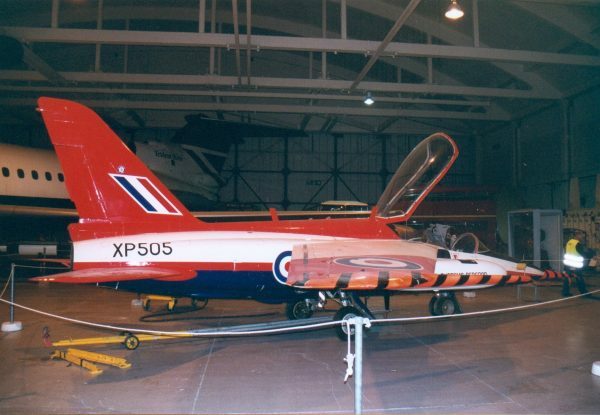 Tel: Not known. 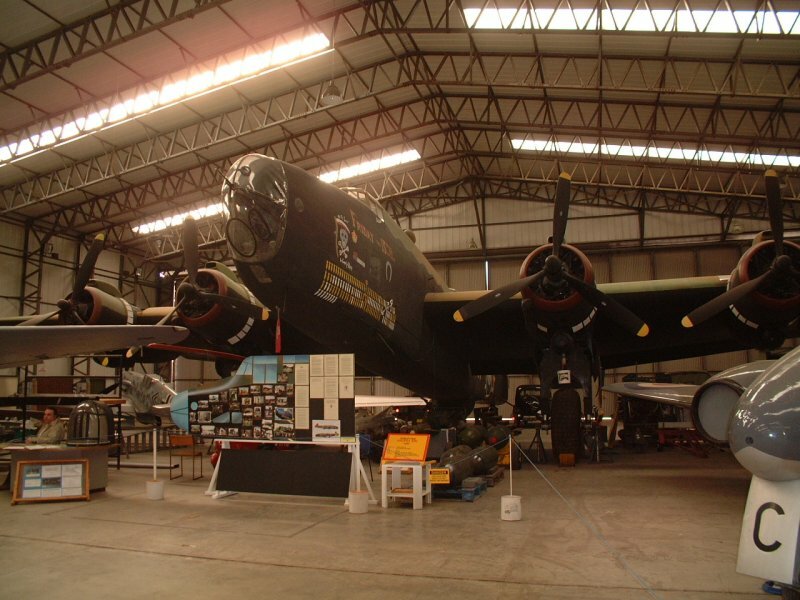 During World War Two, Sleap was a Bomber Command training base. 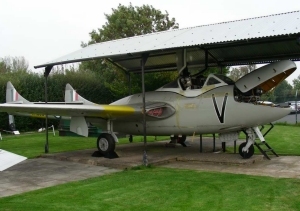 From January 1944 it was used to train glider pilots for the airborne assaults of D-Day and Arnhem. Through the co-operation of the Shropshire Aero Club, the Wartime Aircraft Recovery Group operates a museum on the site. 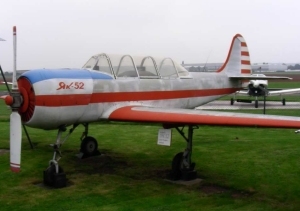 This all-volunteer group investigates crash sites and recovers and displays artifacts as a memorial to pilots that gave their lives operating in the Shropshire area during World War II. 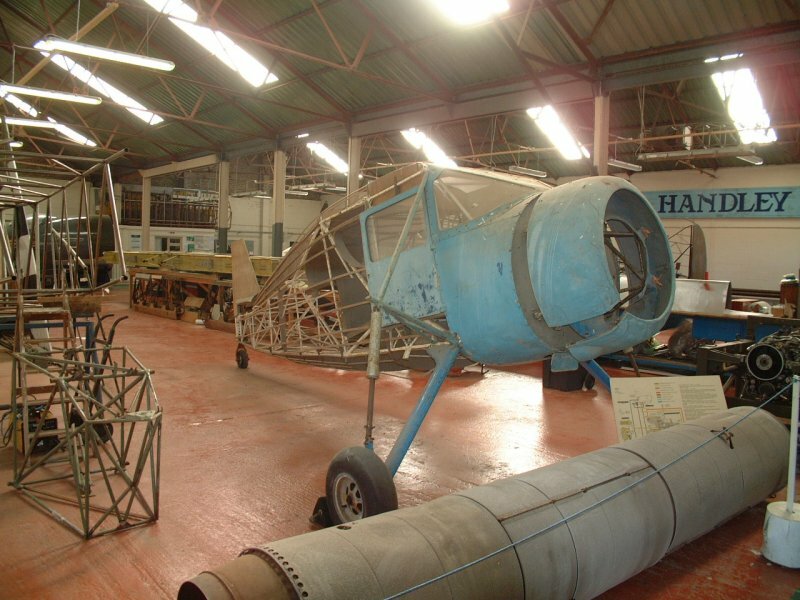 The displays include a number of aero engines, and a reconstruction of an airfield Flight Office. 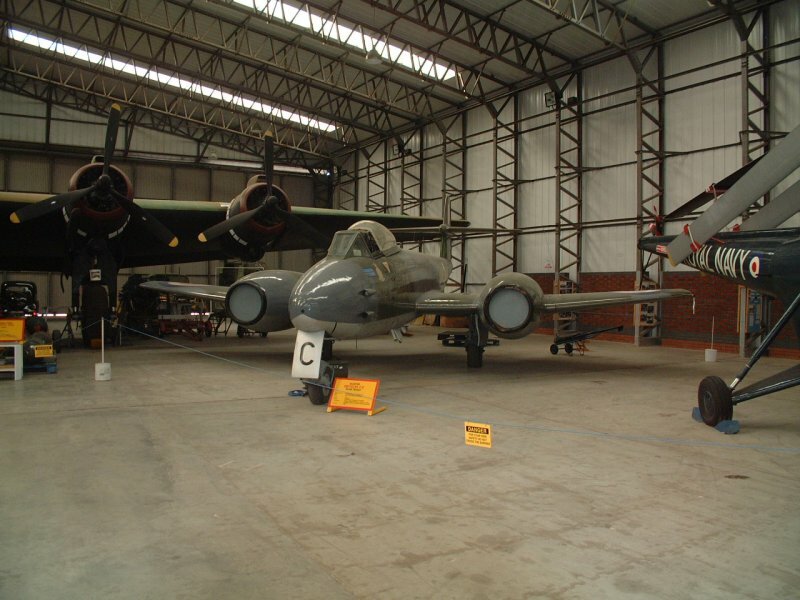 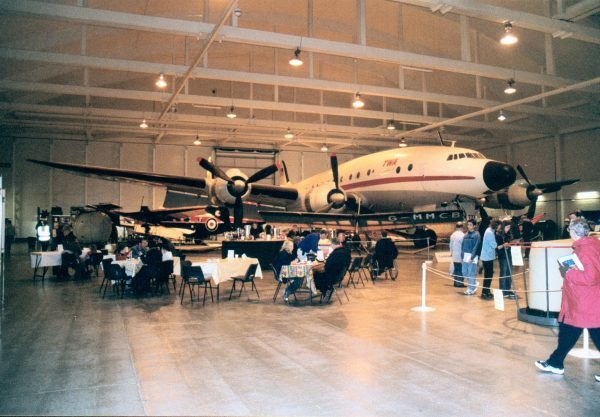 The location was previously known as the Wartime Aircraft Recovery Group Aviation Museum. 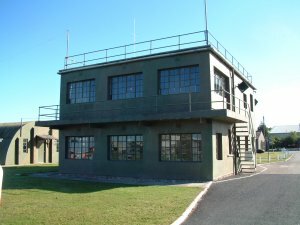 Sleap Aerodrome, south west of Wem, Shropshire. 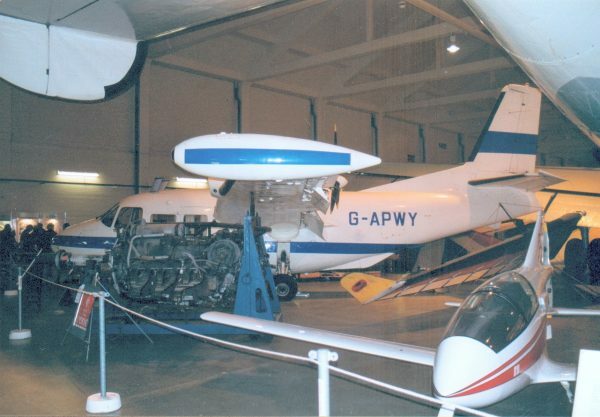 Wem is on the B5476 north of Shrewsbury, and Sleap can be reached from a ‘C’ road off the B5476. Open Saturday and Sunday, 10.00 am to 5.00 pm, from May to October. 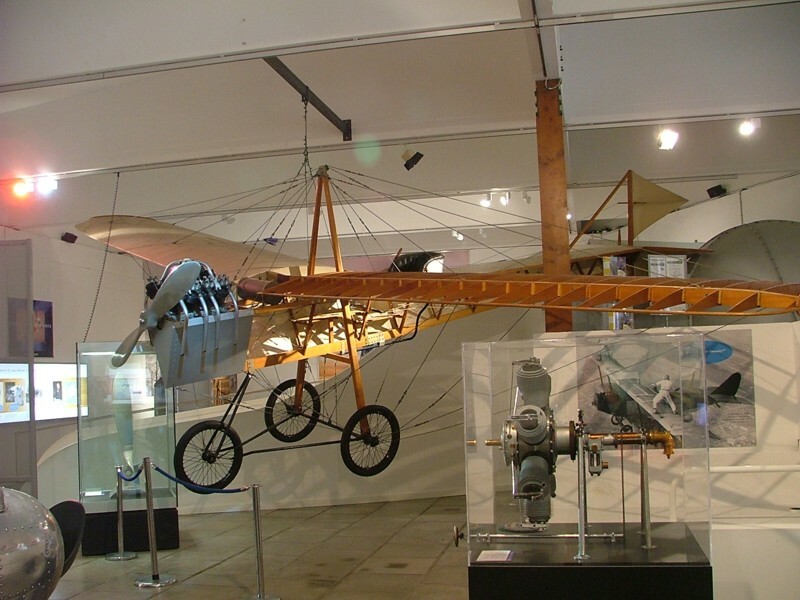 Other times by prior arrangement. 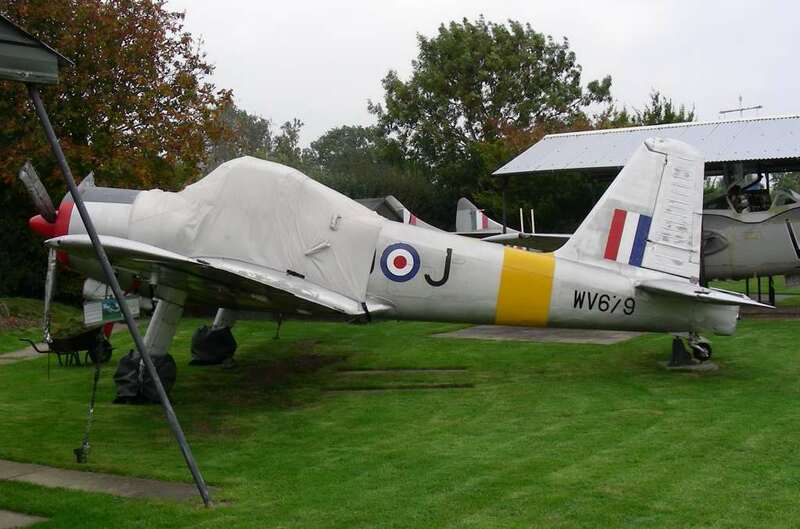 Notes: Percival Provost T.1 WW388 has left this location. 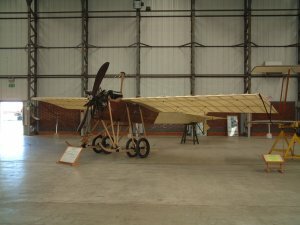 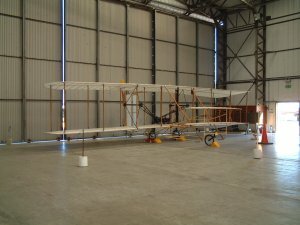 Vickers F.B.5 replica ‘GBH-7’ has moved away. WARG, 2 Fields View, Lodmore Lane, Burleydam, Whitchurch, Shropshire, SY13 4BD. 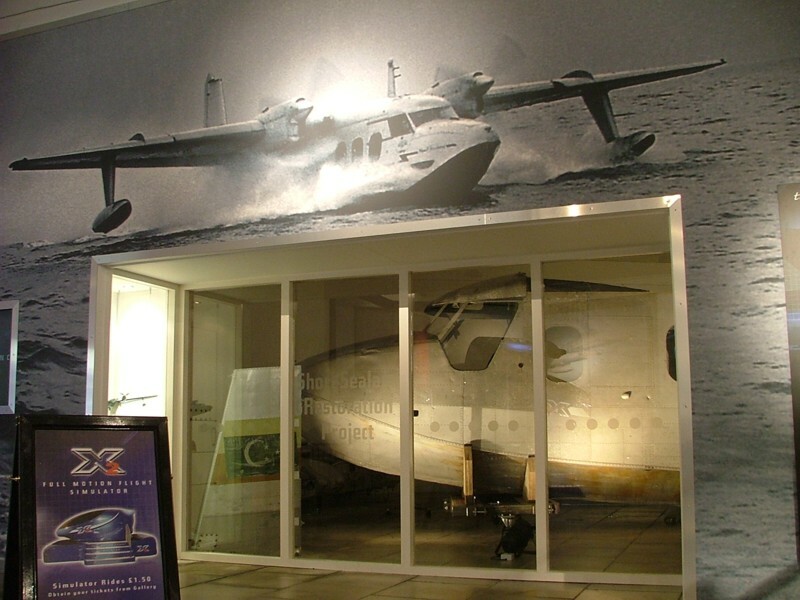 Any photographs illustrating this museum would be welcome. 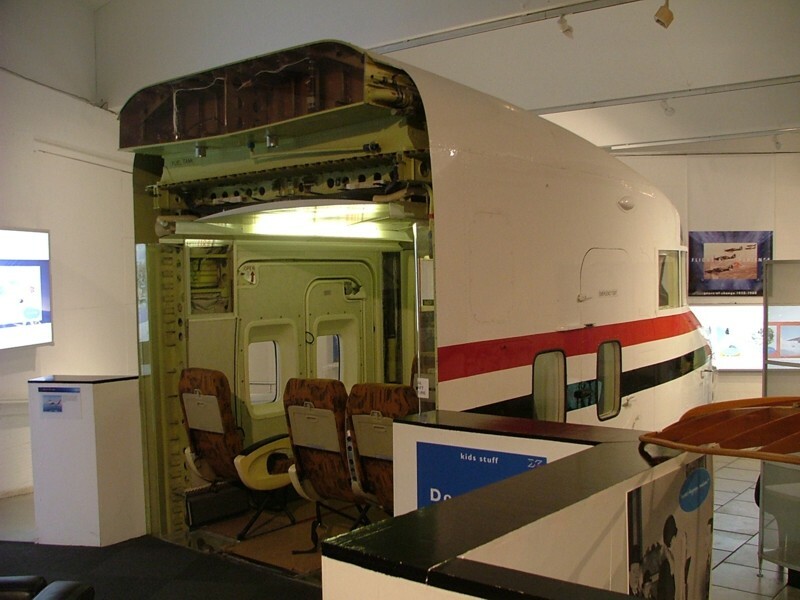 The Transport Museum comprises the most comprehensive transport collection in Ireland. 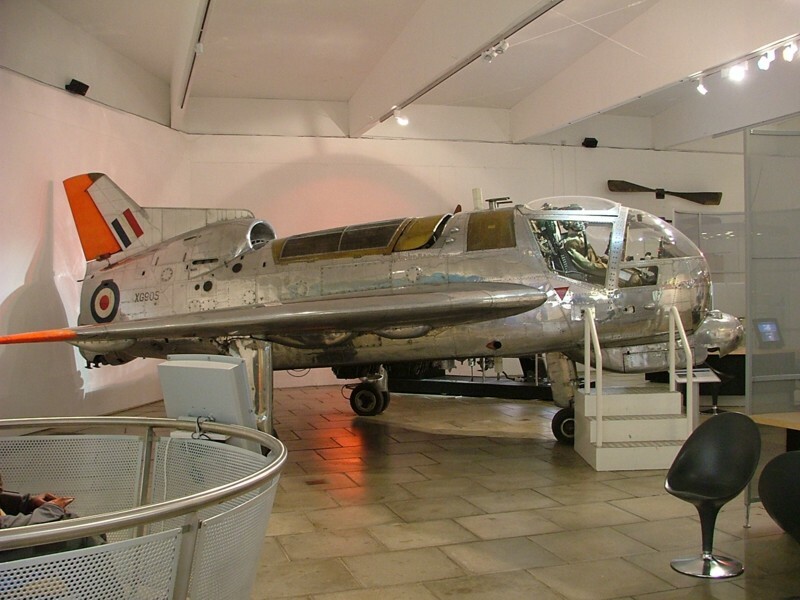 It includes ‘The Flight Experience’, an interactive exhibition developed in partnership with Bombardier Aerospace featuring aviation and the aerospace industry. 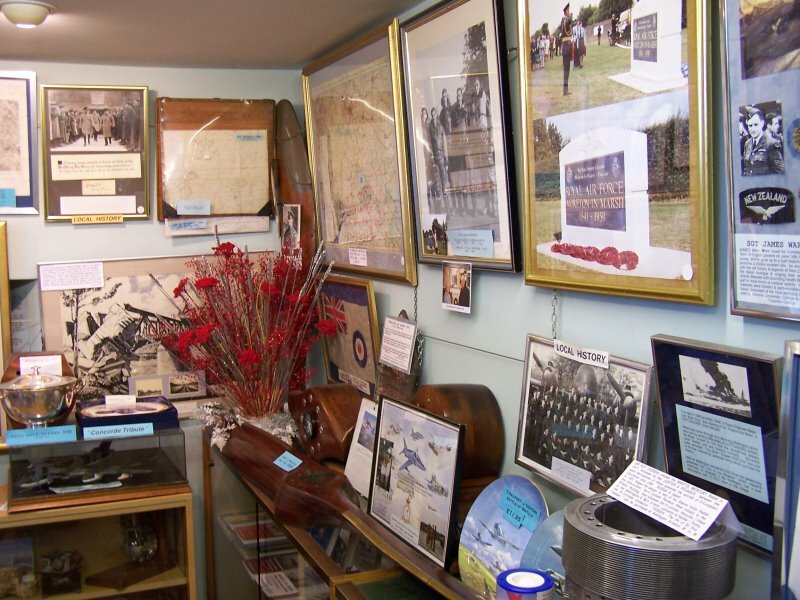 The activities of local pioneers Harry Ferguson and Lilian Bland are highlighted. 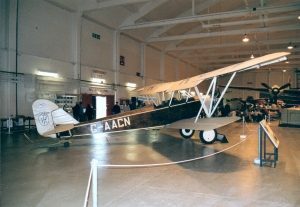 Other transport displays include the Irish Railway Collection, road transport exhibits, a ‘Titanic’ exhibition and a recreation of an Ulster town of the early 1900s. 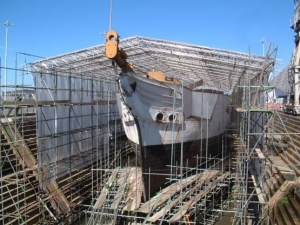 A Short Sealand is now undergoing restoration by the museum, and the nose section is now viewable from the display area. 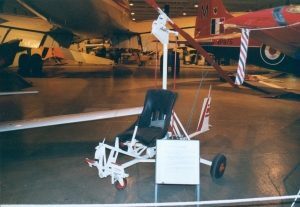 The Ferguson Monoplane reproduction has some original parts, including the pilot’s seat. 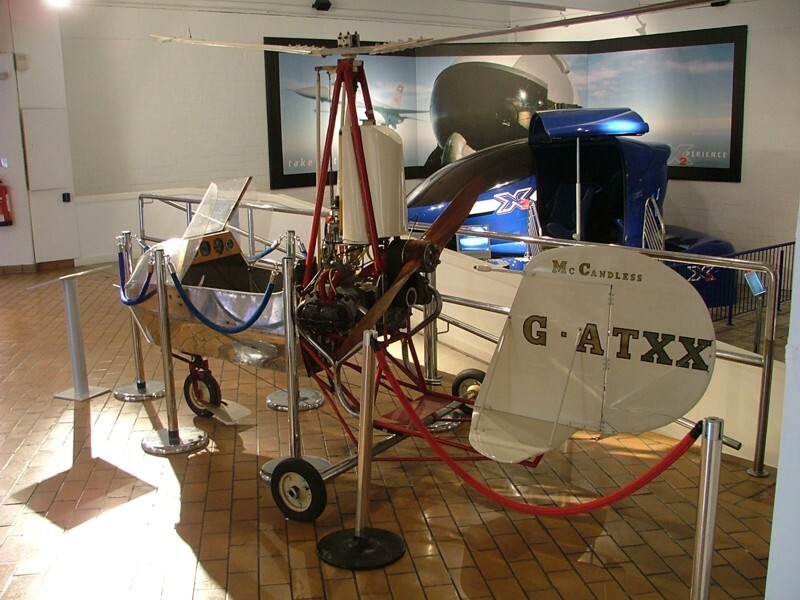 At Cultra Manor, near Holywood, on the A2 Bangor road, 7 miles north east from Belfast city centre, County Down. 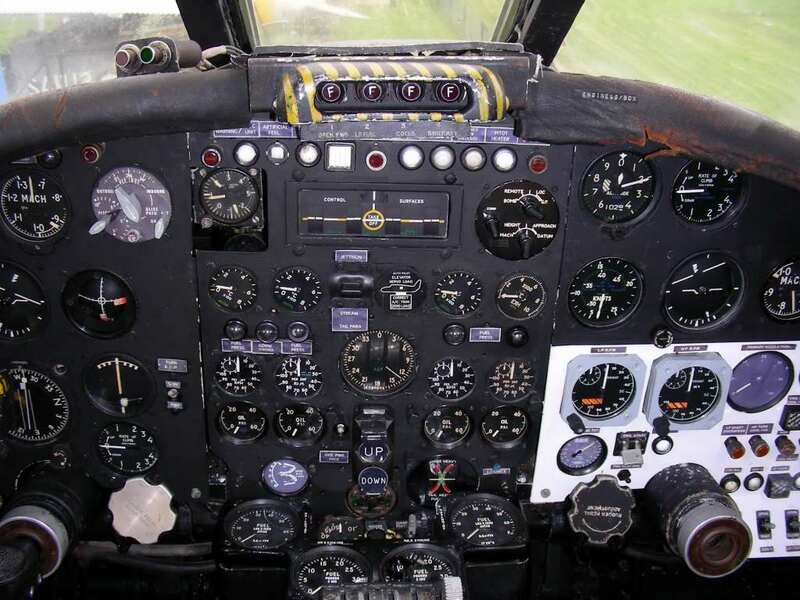 Well signposted. March to September: Open Tuesday to Sunday 10.00 am to 5.00 pm, closed Mondays except for Bank Holidays. 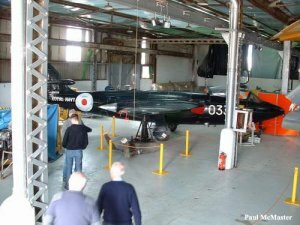 October to February: Open Tuesday to Friday 10.00 am to 4.00 pm, Saturday and Sunday 11.00 am to 4.00 pm, closed Mondays except for Bank Holidays. 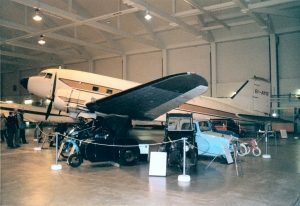 For Transport Museum: See official website for details. 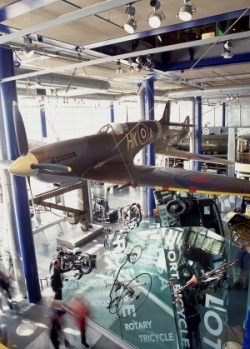 Additional charges apply for Folk Museum. 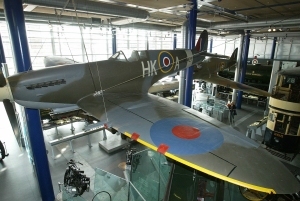 Toilets, Parking, Cafe, Souvenir shop, Access for the disabled, education & conference centre. McCandless M4 G-ATXX front view. 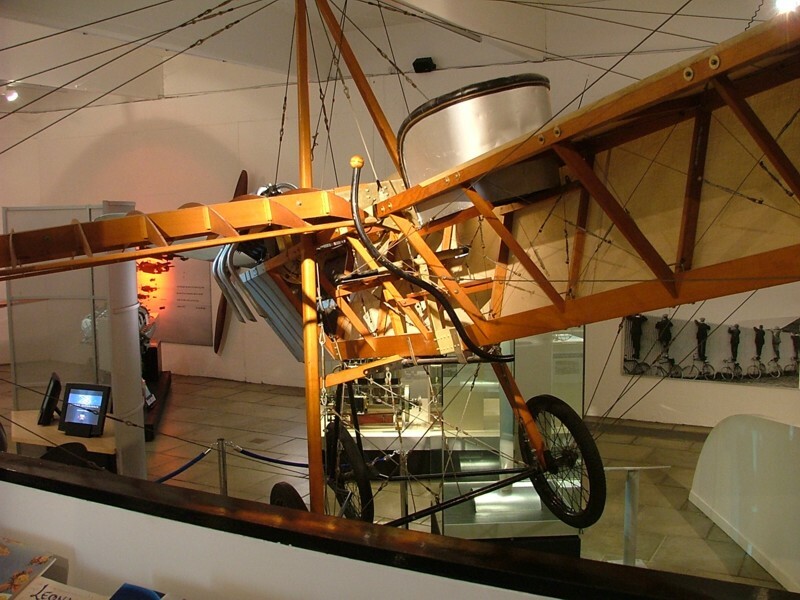 Ulster Folk and Transport Museum, 153 Bangor Road, Cultra, Holywood, County Down, BT18 0EU, Northern Ireland. 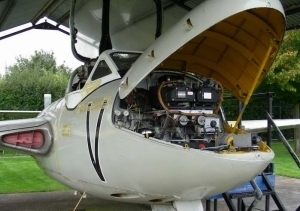 Tel: 028 9042 8428. 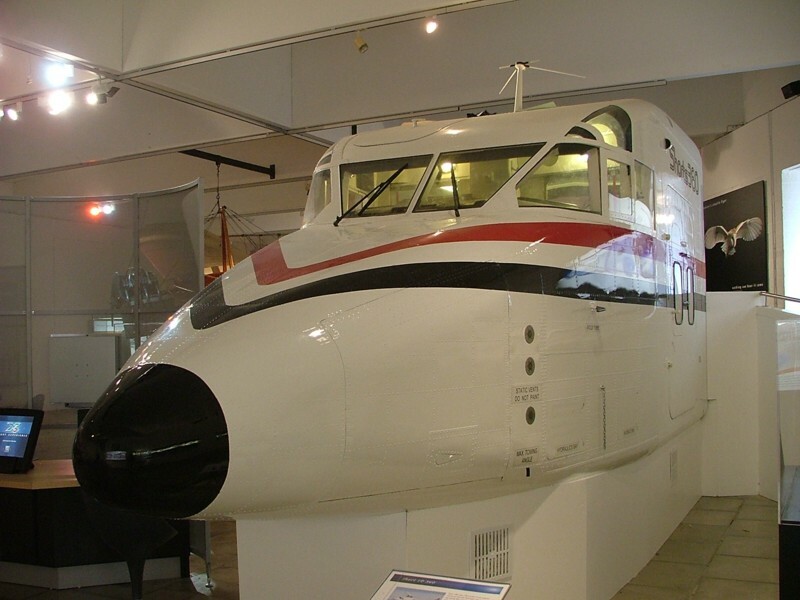 Website: The Ulster Folk and Transport Museum. Located on the former RAF Woodhall Spa, wartime home of 617 ‘Dambusters’ and 92, 619 & 627 Squadrons is this visitors centre. The history of the base and its units are portrayed by various displays and artefacts. 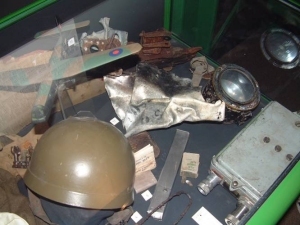 Other displays show life in wartime Lincolnshire. 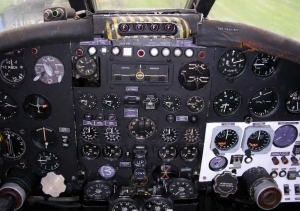 On the B1192 between Woodhall Spa and RAF Coningsby. Signposted from the A153. 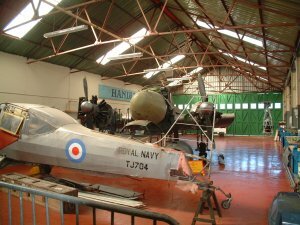 Open Sunday and Bank Holidays 11.00 am to 5.00 pm, Easter to the end of September; plus Wednesdays in July and August 11.00 am to 5.00 pm. Thorpe Camp Visitor Centre, Thorpe Road, Tattershall Thorpe, Lincoln, LN4 4PL. 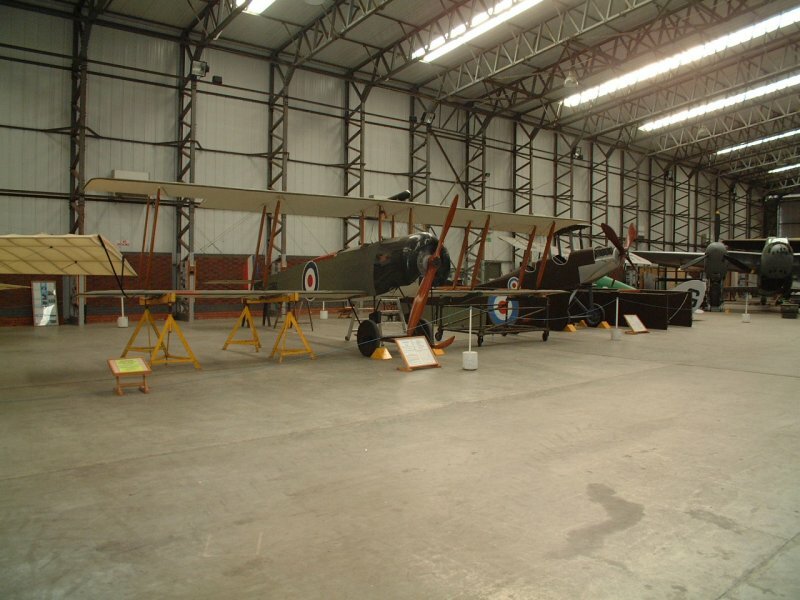 Tel: 01522 790569, website: Thorpe Camp.